The temperature barely changes in tropical Ho Chi Minh City. There’s the dry season and the rainy season—”mùa khô và mùa mưa.” The coldest months of December and January average 27 degrees, the hottest months—before the monsoon in April and May—average 30 degrees. Architects adapt to the intense conditions for construction. Designers incorporate the colors of exquisite fruits and spices into their branding. But how should we adapt with what we order at the bar? Eight Four Collective’s second location, Renkon Saigon, is a modern izakaya—a kind of casual Japanese after-work drinking and dining spot. And like any good izakaya, it has a broad range of beverages. There’s a long list of shochu—the Japanese distilled drink that’s like vodka. Made from rice, barley, sweet potato, or buckwheat, or more unusually with chestnut or sesame, shochu often comes in well below spirits like whisky at around 25% to 30% ABV. And as a tribute to their first location, Sake Central Saigon, Renkon Saigon also stock some sake. And some more unusual spirits like Fernet Hunter—an aromatic “fresh take on the traditional Italian bitter”—that’s used in cocktails like the Hunter Hi. 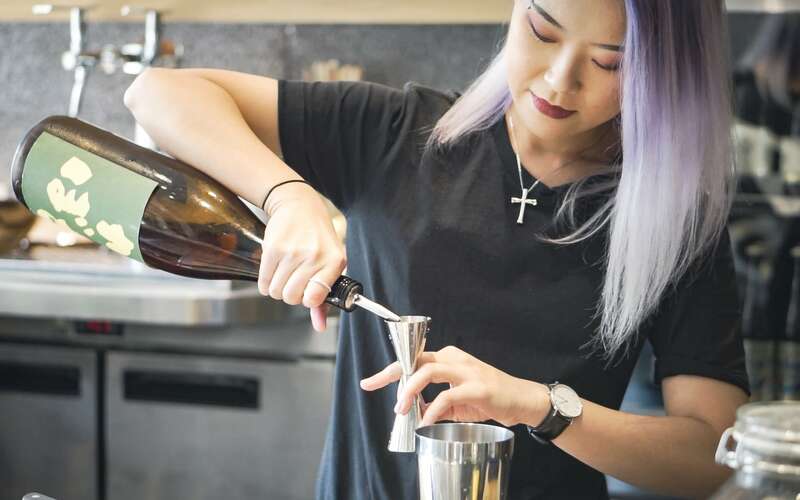 So we asked Renkon Saigon’s restaurant manager, Lola Lau, who is also the reigning 2017 China Queen of Cointreau; Raphael Holzer, the Eight Four’s Hong Kong consultant whose family recipe he’s invoked into the Hunter Hi; and Jesse Selvagn, sake sommelier and manager of Sake Central Saigon, to present their three drinks to beat the ever-present Saigon heat. The reigning 2017 China Queen of Cointreau and Renkon restaurant manager, Lola Lau, adding kabosu liqueur to the mix of her Hi Chew. “It basically looks like a glass of watermelon juice in a very nice highball glass,” Lola Lau shrugs nonchalantly. Visually simple, but with complex flavors, the Hi Chew is much more than a glass of watermelon juice. First, it’s built on a base of homemade red shiso shochu. “It starts off as a clean ‘kome’—or rice—shochu,” Lola explains. Quality shochu like this is only distilled once, which means the drink keeps the characteristics of the ingredient it’s made from and so rice, barley, and sweet potato shochu all taste distinctly different. Rice shochu is regarded as the smoothest and least pungent of the three core kinds—making it a good base for infusions. “It’s fresh and delicious,” Lola Lau smiles serving the drink. The challenge is to get the right balance of shiso infusion with shochu flavor. 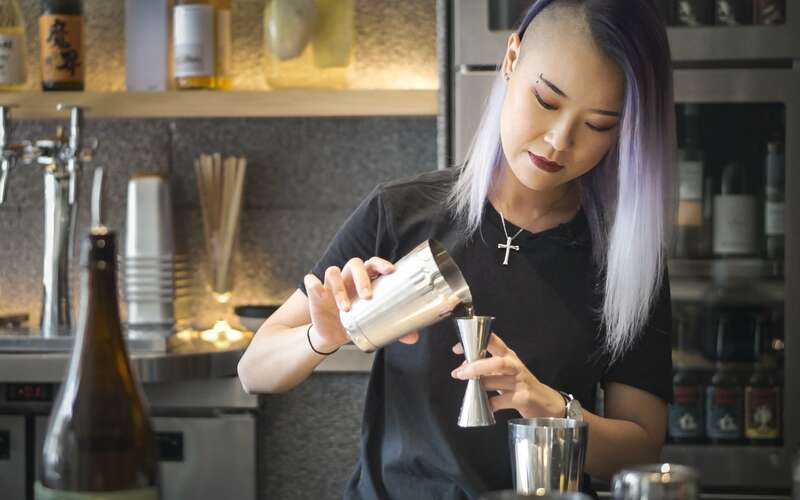 “Infusing shochu with shiso doesn’t simply mean putting one with the other,” Lola explains. Shiso and watermelon are both refreshing flavors—perfect for the summer heat. “Shiso features in lots of Japanese dishes. You’ll see it served with plates of sashimi, and the red shiso we use here is also used to dye pickled Japanese plums, umeboshi.” The China Queen of Cointreau’s Hi Chew is a mix of Japan and Vietnam, like the modern izakaya itself. 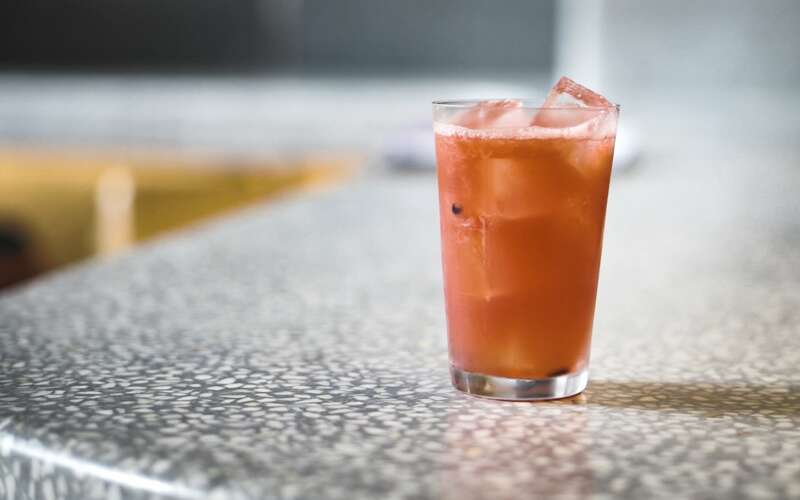 The drink combines Japanese shiso with watermelon from Renkon Saigon’s home country—Vietnam. The drink also contains the citrusy kabosu liqueur and a dash of syrup. 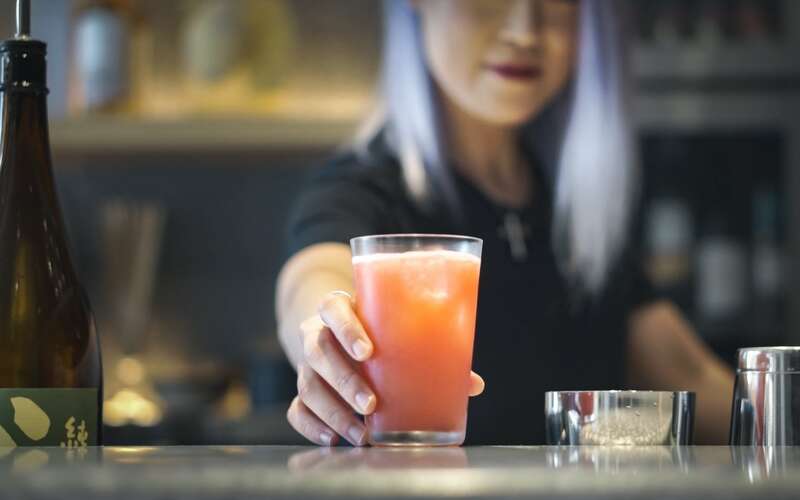 “First muddle the watermelon, then add the shochu, kabosu, and syrup…and give it a shake,” Lola explains. “At Renkon we focus on shochu cocktails…that’s why I’ve chosen our Hi Chew. It’s fresh and delicious,” she smiles serving the drink. The Hi Chew, a combination of eastern shisho and tropical Vietnamese fruits on a base of rice shochu—one of Renkon Saigon’s special signature shochu cocktails. In Short: A “fresh and delicious” combination of eastern shisho and tropical Vietnamese fruits on a base of rice shochu—one of Renkon Saigon’s special signature shochu cocktails. 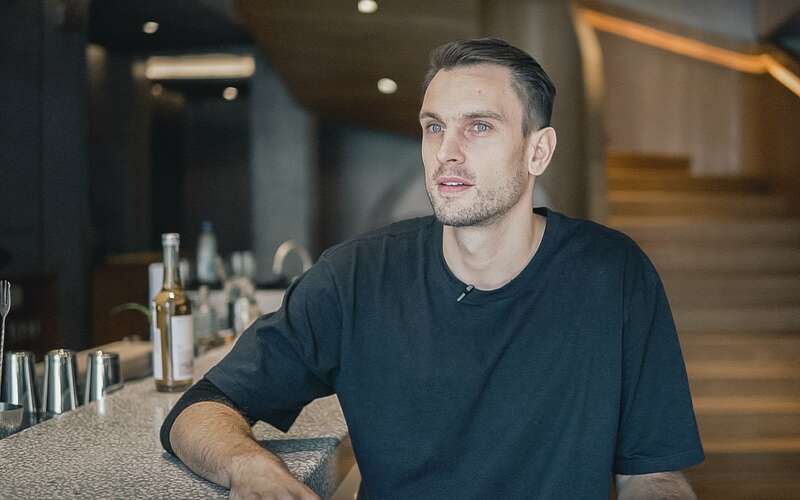 Raphael Holzer, the Eight Four’s Hong Kong consultant whose family recipe he’s invoked into the Hunter Hi. 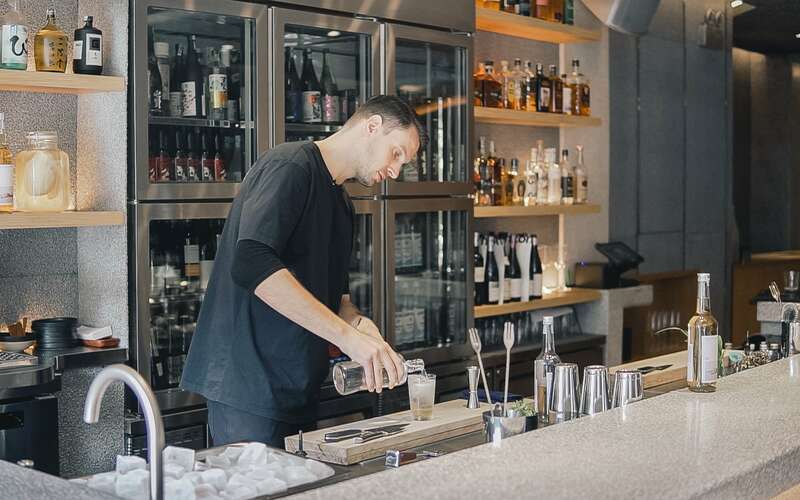 “The hardest part of mixing a highball is choosing your liquor. Once you’ve got that, the rest is a breeze,” Esquire recently proclaimed. That choice was easy for Raphael Holzer…his Fernet Hunter is a family recipe. The secret is to avoid stirring the drink, to which he’s added two bruised leaves of mint. Stirring means you lose bubbles from the soda. “Instead, lift the ice in the drink two times,” he adds finally. The summertime cocktail made with Fernet Hunter and soda, mint, and ice. 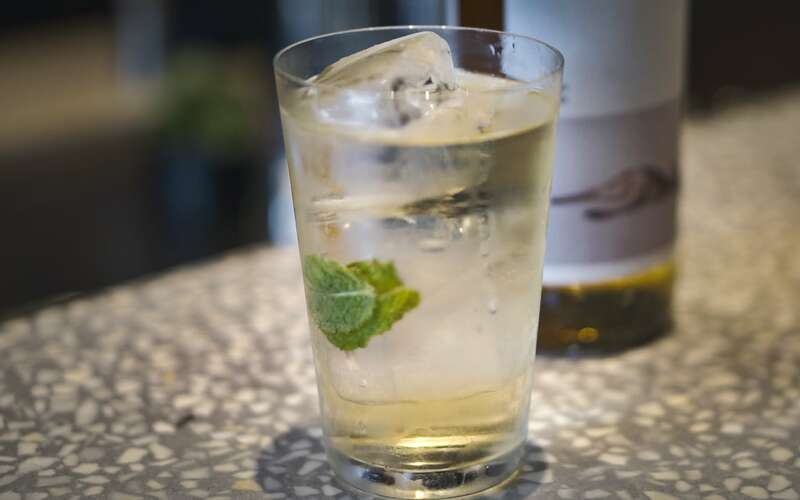 In Short: An Austrian botanical digestif turned summertime cocktail with the addition of soda and mint. Jesse Selvagn from Sake Central Saigon has brought over a special release sake, Shichiken Natsujun Gin. 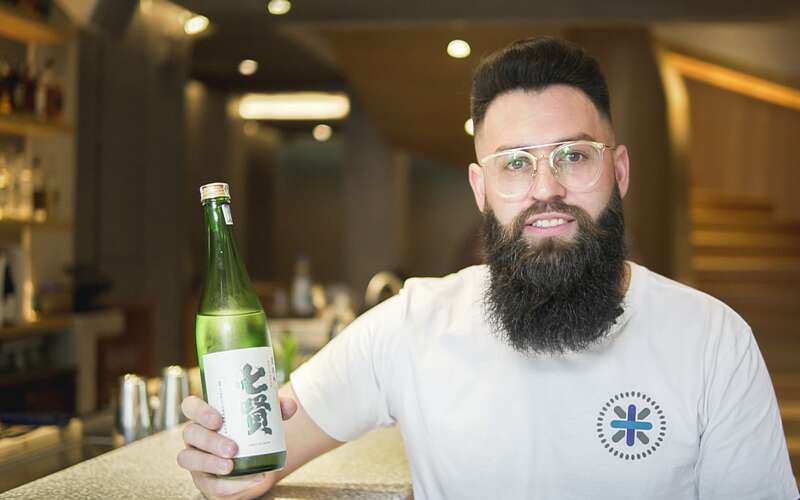 Jesse Selvagn is Sake Central Saigon’s manager and sake sommelier. He’s taken the short walk to Renkon Saigon to show off one of their sakes. He’s chosen to present the Shichiken Natsujun Gin from Yamanashi—the Japanese prefecture where you can find Mount Fuji, the country’s highest and most iconic mountain. 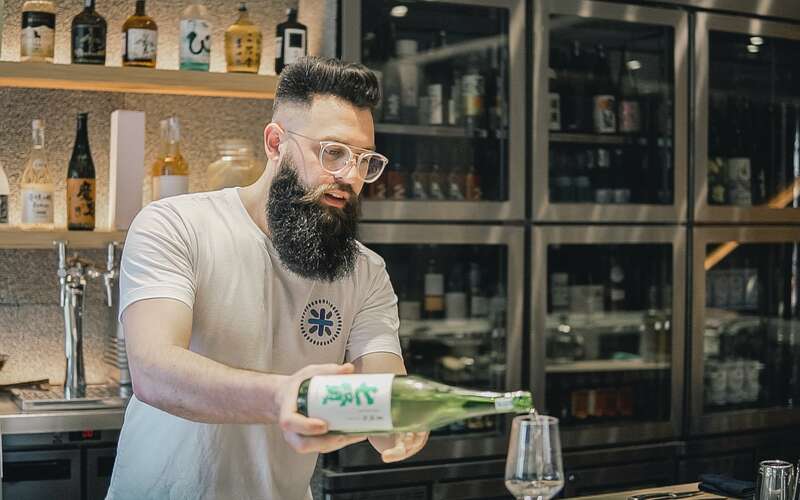 “This sake is only released once a year…it’s a seasonal special available in the summertime,” Jesse explains presenting the bottle. 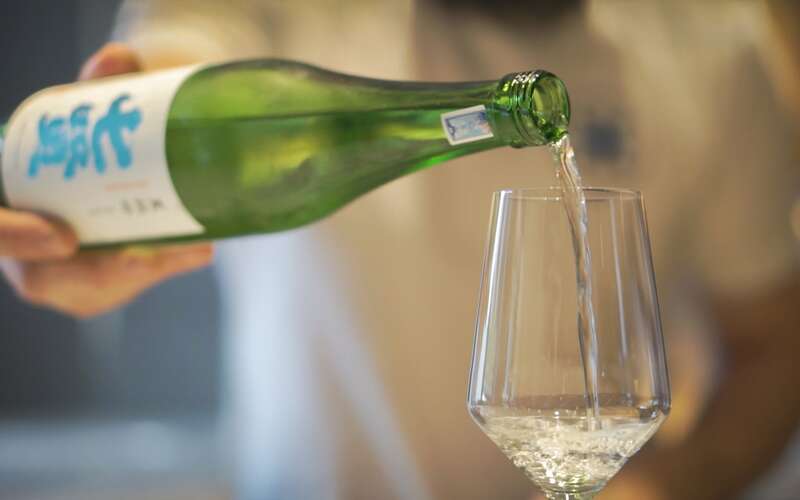 “This sake has bright, ripe fruit flavors over a clear body, and it has a zesty and tart finish. Think of biting into a cold juicy watermelon,” he smiles maintaining the theme of fresh fruity flavors for summer. Sake Shichiken Natsujun Gin from Yamanashi is a summer-time sake with fresh fruity flavors. In Short: A summer-time sake with fresh fruity flavors.